¶ 2 Leave a comment on paragraph 2 0 Stamp collecting started as an obscure leisure time activity in the 1860s and 1870s, but quickly emerged as a popular and more structured pursuit by the 1880s in the US and internationally. The United States Post Office Department (USPOD) noticed. By the 1890s, the USPOD began a commemorative stamp program knowing there was a ready audience of collectors and individuals interested in saving stamps and the meanings associated with those objects. Through printing its first set of limited-issue commemorative stamps, the USPOD began to see collectors, and citizens, as consumers with money to spend, even if it was only two-cents at a time. The Department expanded its already close relationship with Americans by encouraging them to purchase and save US commemoratives as patriotic souvenirs. Stamps circulated widely when printed. 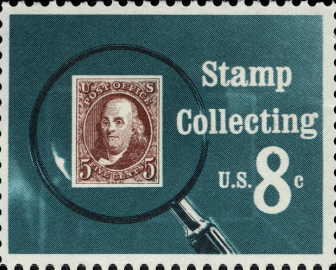 When collected, saved, and displayed, stamps were looked at repeatedly. These images, albeit small in size, were not fleeting or insignificant, but rather were transformed by their collectors into miniature memorials to an idealized American past. These early collectors from the late nineteenth century influenced the growth of the USPOD’s very popular program of commemorating people, events, and places from the American past and present on stamps.